The animals present included a camel, llama, wallaby, cavy, nubian goat, fainting goat, zebu (miniature) cow, and baby skunk. Kids got the chance to pet and feed treats to the animals. A baby skunk was a popular guest at the petting zoo. 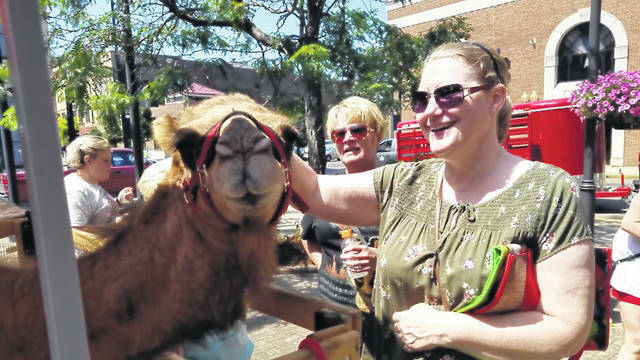 BARKers Family Zoo brought their camel to greet shoppers. 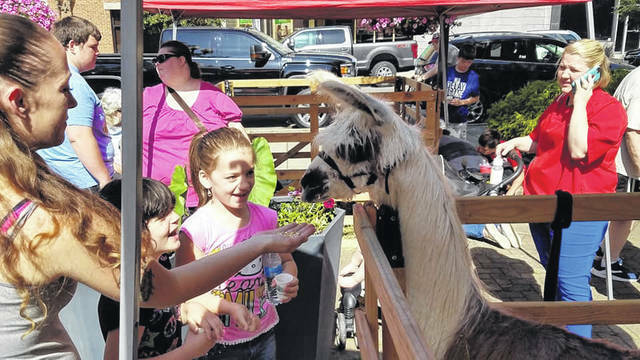 A variety of wildlife took over the Roy Rogers Esplanade this past Saturday from 10 a.m. to noon as BARKer Family Zoo visited the Main Street Portsmouth Farmers Market. 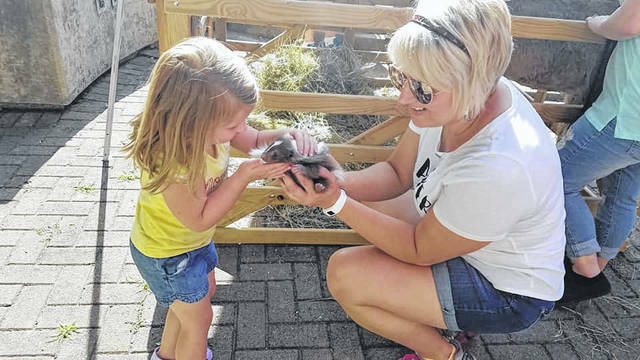 With animals ranging from dwarf goats to the more exotic wallaby, children and adults alike were able to interact with the special guests and take plenty of memorable photos. Pratt said he always has reservations when bringing in a new company, but was pleasantly surprised with BARKer Farms and their hands-on interaction with guests. 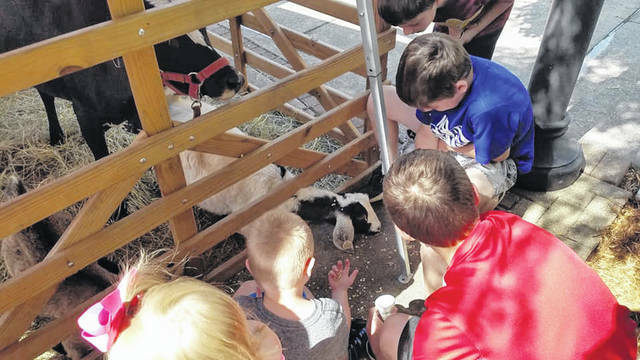 Although Main Street and their many events tend to bring in large crowds, Pratt and the vendors both were ecstatic with the volume of individuals who visited the Farmers Market on Saturday.